With the demand for larger rolls of film, manufacturers have started to catch up and now wrapping these large panels with one piece is a reality! The huge hood of the Superleggera is a great match for these larger sheets of film. The application process is a bit more involved and requires more hands on deck to safely apply. An error in installing is a much more expensive proposition with film such as this. Hand-trimming and wrapping the edges of the panels with the film are some of the detail that goes into producing the most seamless look possible. 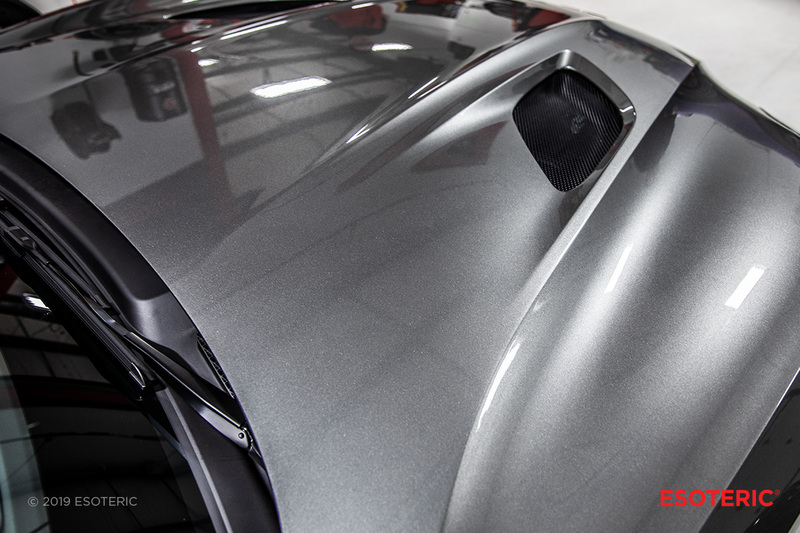 Protecting a vehicle with PPF is the best way to preserve the look of the vehicle while adding care-free driving and easier maintenance. 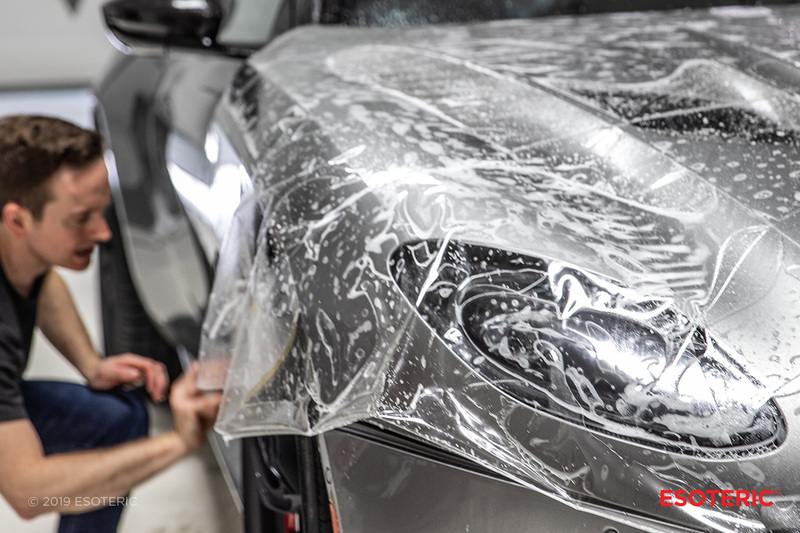 The films we install have hydrophobic properties and are self-healing. While the process is more intensive, the results are worth it. 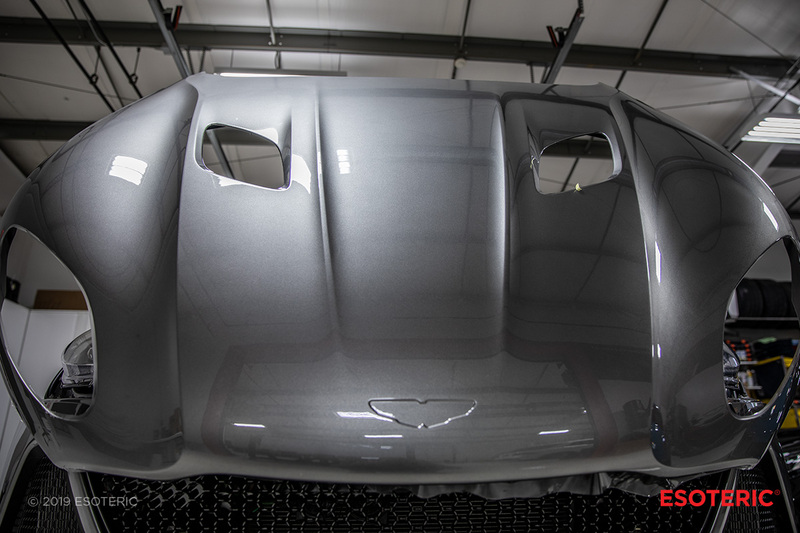 Seeing large areas wrapped seamlessly is incredible in person and why we have an open-door policy at our shop. We encourage current and potential customers to come in and see what we are working on and why our methods are industry-leading. 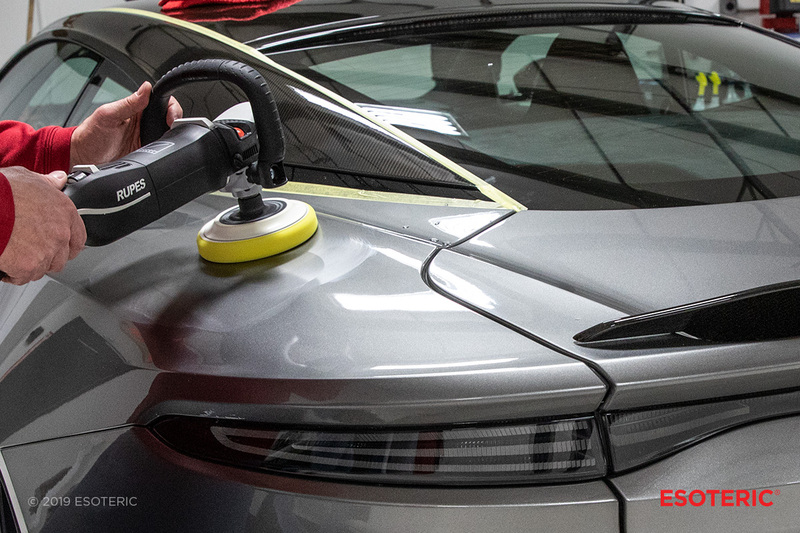 Rewinding to before we installed film, many of our customers opt for paint correction services, even on their new vehicles. 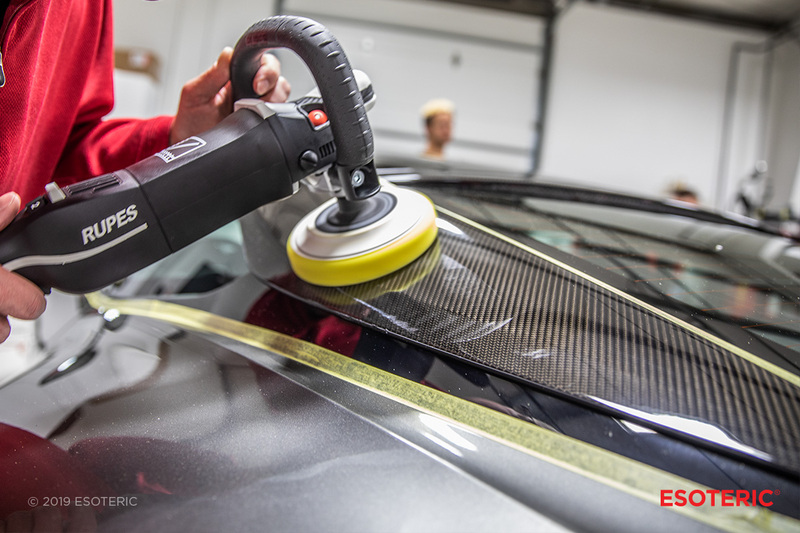 Paint correction is a great way to fix defects from the manufacturing line, shipping, and receiving process. 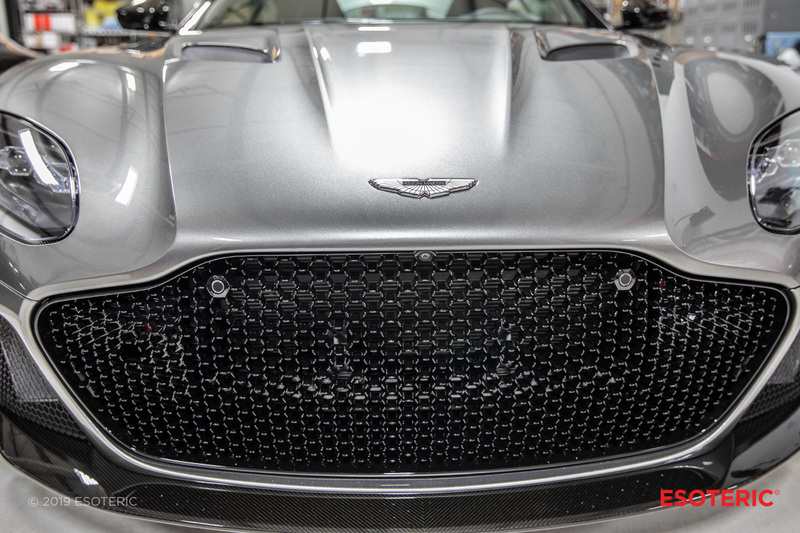 On this DBS Superleggera not only were we able to perfect the painted panels but the carbon fiber areas as well. 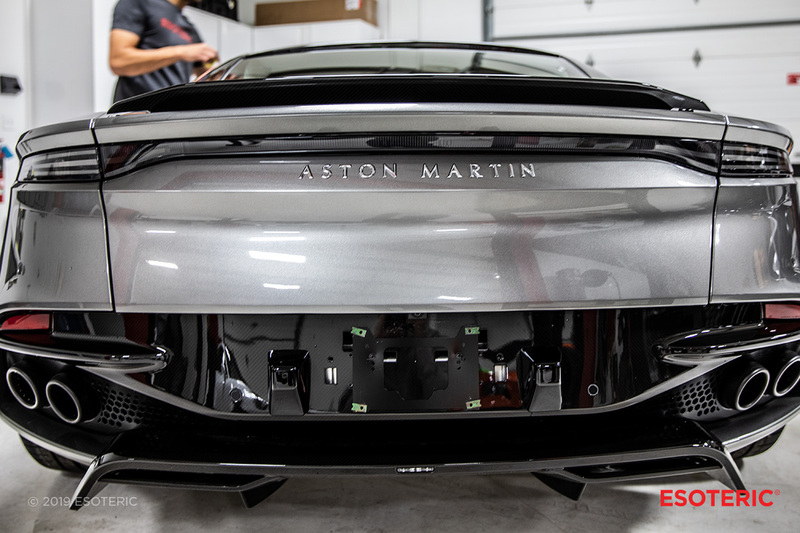 Carbon fiber can be treated differently or sourced from another producer for assembly than the rest of the vehicle and we find it more often than not can benefit from correction across all marques. 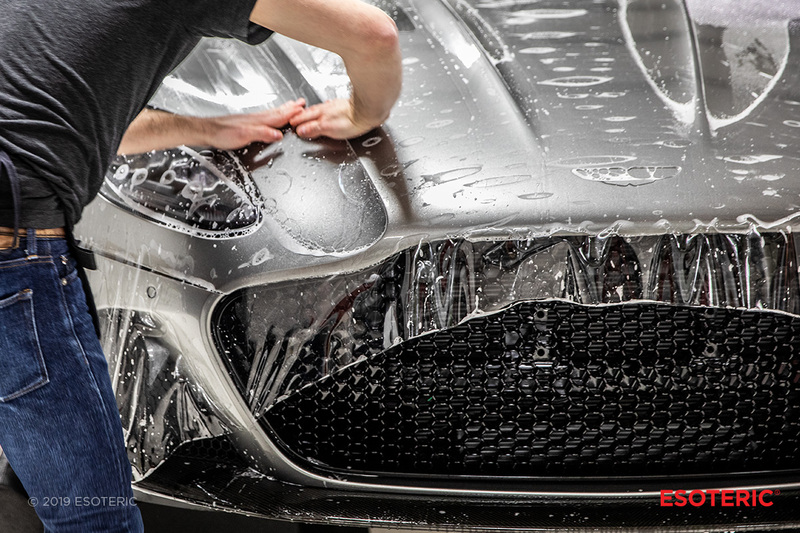 After our services are complete, the vehicle undergoes a quality control process that can take several days. As the film cures, we check edges and other critical areas to ensure proper adhesion. Depending on the vehicle our services can take upwards of two weeks to complete, so scheduling with us in advance is important! 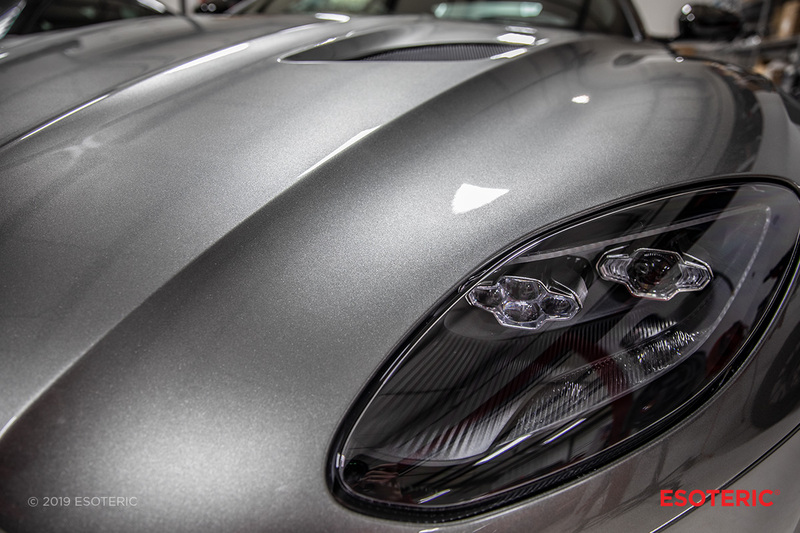 For more information on our film services please visit our paint protection film page.